He's a fan of Hot Pockets and "Seinfeld." A prominent former colleague inhaled donuts. His mother was worried he couldn't drive safely (at age 60). And he got pranked by the President of the United States. These are a few fun facts about Ben Bernanke, who held one the most powerful jobs in the world as chair of the Federal Reserve for eight years. Bernanke released his memoir, "The Courage to Act," Monday. Among other details of his life, he talks about the grim times at the Fed during the financial crisis. Peppered in are some fun anecdotes and facts -- at least fun for a Princeton economist turned central banker. Before Bernanke became Fed Chair he served on the White House Council of Economic Advisers. Once President George W. Bush stopped a meeting in the Oval Office and walked over to Bernanke, only to pick up his pant leg. Bernanke was wearing a dark suit with tan socks. 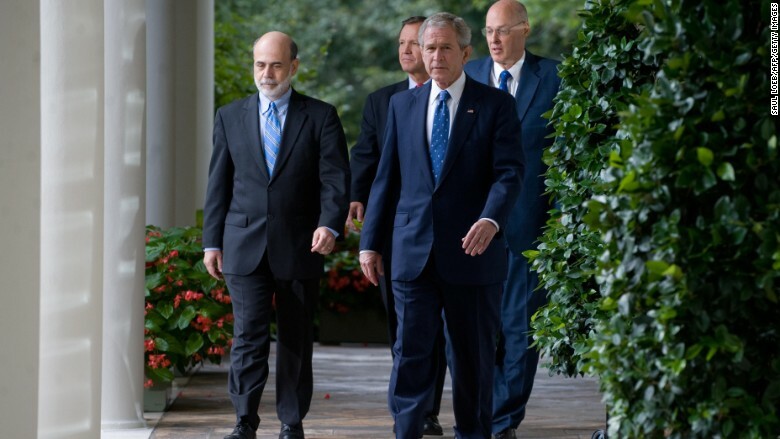 "You know," Bush told Bernanke, "this is the White House, we have standards." Bernanke admitted sheepishly that he had gotten a good deal for the tan socks at the Gap -- 4 pairs for $10. The next day at another Oval Office meeting, everyone except Bernanke showed up wearing tan socks. "The president tried to pretend that he didn't notice, but before long he burst out laughing," Bernanke writes. Bernanke worked closely with Timothy Geithner, the former Treasury Secretary, during the financial crisis. And Bernanke distinctly recalls Geithner's "supercharged" metabolism. "At [Fed committee] meeting breaks he would inhale doughnuts, but nevertheless remained slim," Bernanke writes. "Tim's energy and ability to concentrate for long stretches always astonished me." Once he left the Fed, Bernanke's mother Edna was concerned about her son driving a car. That's because he hadn't driven one in eight years. And mom was worried he might have forgotten what it was like to be behind the wheel. 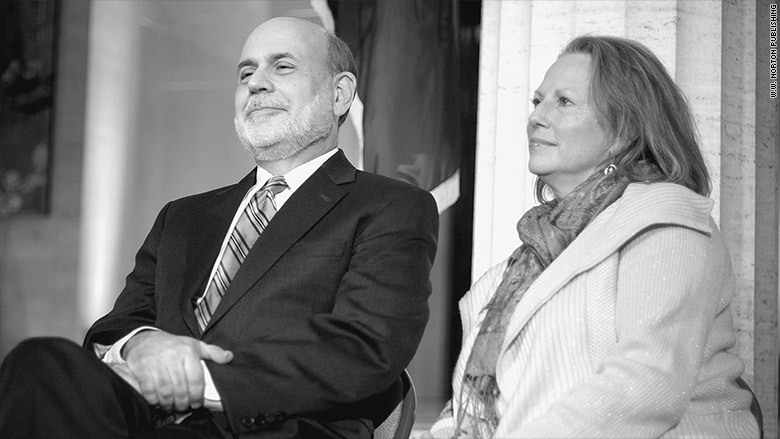 "She worried whether at age sixty I would be to drive myself safely," Bernanke writes. "(So far, so good.)" From their calendars, you get the impression that central bankers are jetting around the world, from conference to conference and are invited to glitzy events. That might be the case, but more often than not as a Fed governor life can actually be quite unglamorous. "I would microwave a Hot Pockets sandwich and eat it in front of a Seinfeld rerun," writes Bernanke, who as a Fed governor also frequented Vietnamese restaurants, jazz clubs and Barnes & Noble (BKS). As Fed chair, he also ate in the Federal Reserve cafeteria with everyone else. "I ate in the Board's cafeteria, waiting in line with my tray and sitting at a table wherever I could find an open seat," Bernanke writes. Bernanke liked to use email as Fed Chair, but he knew he would inundated with emails if he used his real name. So he had a pseudonym: Edward Quince. That was Bernanke's name in the Fed's phone book. Did it have some deep meaning or literary reference? After all, Bernanke and his wife enjoy reading Latin American literature. The code name for America's central bank chief actually came from an IT guy. 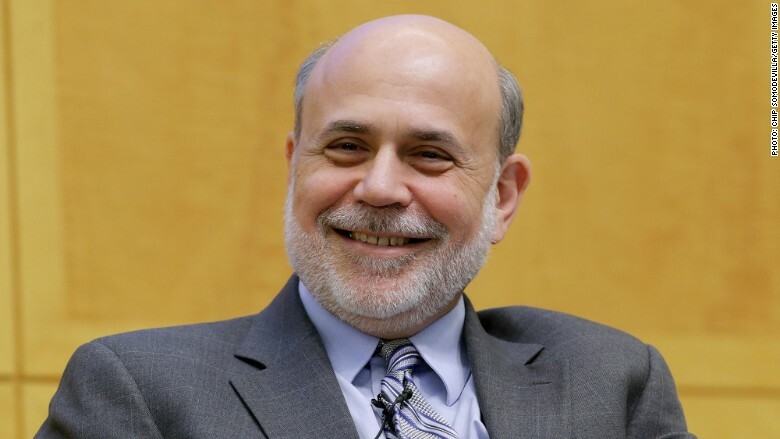 He had seen the word "Quince" on a software box and told Bernanke he thought Edward was a nice name. "It seemed fine to me, so Edward Quince it was," Bernanke writes. 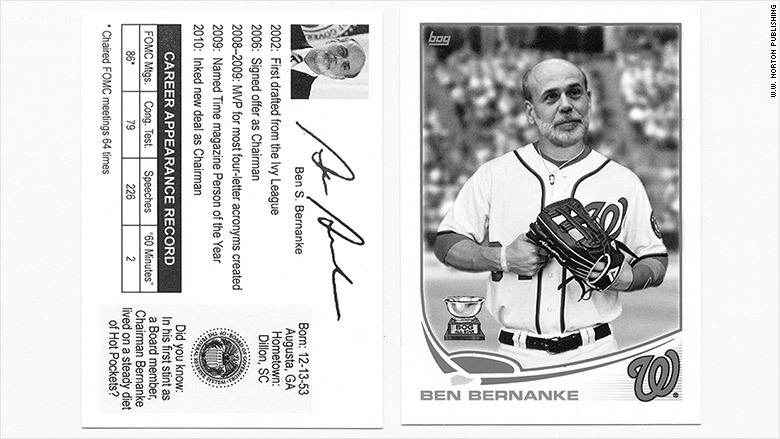 The Washington Nationals made a mock baseball card for Bernanke, who is a huge baseball fan. But when he was called upon to serve on the White House's Council of Economic Advisers in 2005, Princeton asked him to resign. Effectively, he had to give up lifetime job security for one that would end once Bush was out of office. "I was moving in exactly the wrong direction," Bernanke writes. Given where he ended up, it was probably not a bad decision. And thankfully for Bernanke, it hasn't been that difficult to get gigs lately.